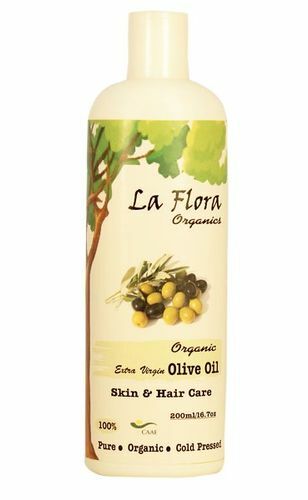 Pure, Certified Organic, Extra Virgin Olive Oil. Finest quality, extra virgin (first press)Olive oil (from Seville region ,Southern Spain)obtained by crushing and extracting organically grown Olive fruits(Olea europaea ) using mechanical ,cold press method(Under 25 C).Virgin Olive oil is packed with anti-aging antioxidants ,rich in Vit E & A and hydrating squalene that helps skin cells to regenerate and maintain its elasticity , softness. It also helps to make your hair stronger, longer, less frizzy, soft and shinier .